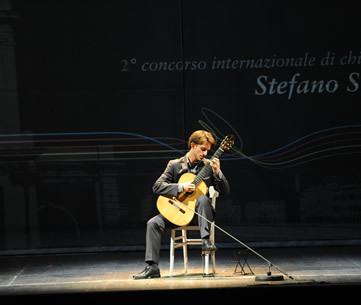 Two years after the first edition took place in Bologna, the International Guitar Competition Maurizio Biasini – cciMB arrived in Basel, another city the physicist and musician Maurizio Biasini was connected to. 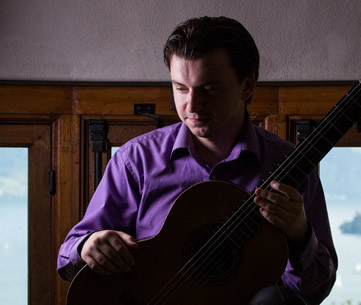 This second edition, organized by the Association cciMB in collaboration with the Musik-Akademie Basel, hosted 14 young guitarists of 11 different nationalities: Argentina, Australia, Belarus, Brazil, Israel, Italy, Russia, Switzerland, Poland, and Ukraine. Divided in three rounds, the competition requested a challenging repertoire with a window towards contemporary music and including Swiss composers. 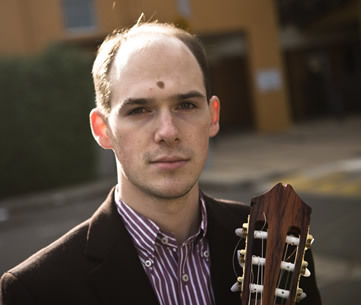 The young guitarists played in front of an international Jury presided by Prof. David Tanenbaum (Chairman of the Guitar Department at the San Francisco Conservatory, USA) and consisting of Gérard Abiton (Conservatoire à Rayonnement Régional de Paris and the Pôle Supérieur Paris-Boulogne, France), Marco Vinicio Carnicelli (Conservatorio “N. Piccinni” di Bari), Alberto Martelli (Conservatorio A. Boito di Parma) and Walter Zanetti (Conservatorio “G.B. Martini” di Bologna) from Italy, and director Stephan Schmidt and Pablo Márquez from the Musik-Akademie Basel. Nine competitors proceeded to the semi-final round: Emanuele Buono (Italy), Fabian Cardozo (Argentina), Harold Gretton (Australia), Tal Hurwitz (Israel), Marco Ramelli (Italy), Konstanin Shumilin (Belarus), Davide Giovanni Tomasi (Italy), Marko Topchii (Ukraine) and Joao Carlos Victor Alves (Brasil). 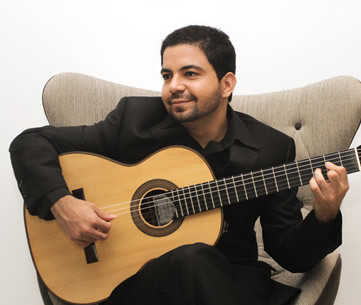 On Sunday 15 September, a packed Hans Huber-Saal in the Stadtcasino Basel awaited the three finalists of the competition: Emanuele Buono, Fabian Cardozo and Marko Topchii. 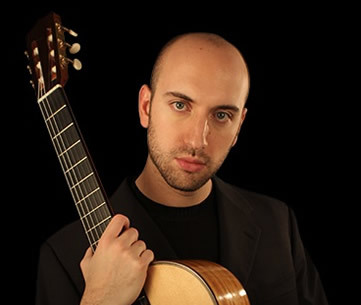 In addition to the Quintettos by Mauro Giuliani and Mario Castelnuovo-Tedesco, each finalist played the composition Divergence de la série harmonique, commissioned by the cciMB 2013 to the young composer Yair Klartag, and a free choice piece. 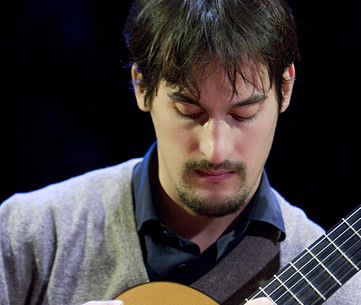 The guitarists played together with the Arco Quartet, recently founded at the Musik-Akademie Basel and composed of Mirka Šćepanović (violin), Joel Bardolet Vilaro (violin), Alessandro D'Amico (viola), and Moritz Benjamin Kolb (cello). 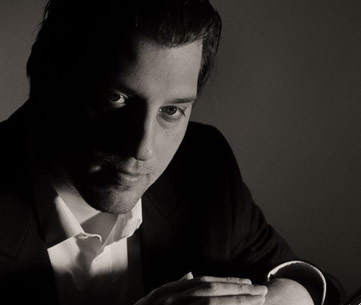 By unanimous decision of the Jury, Emanuele Buono, was awarded the first prize: CHF 12.000.- and two concerts: one in the prestigious Rising Stars series (2014-2015) of the Allgemeine Musikgesellschaft, and another in San Francisco. 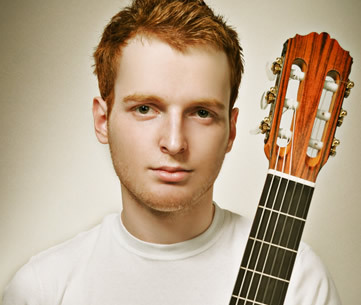 Already second prize in the cciMB 2011, behind the Croatian guitarist Petrit Çeku, Emanuele also received the enthusiastic acclaim of the audience. 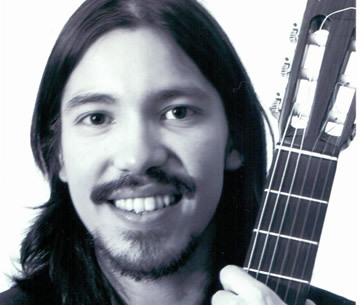 Fabian Cardozo and Marko Topchii received ex aequo the third prize of CHF 3.000.-, while all participants will receive a video recording of their performances. Sticking to the philosophy that the cciMB should be “more than a competition”, the endeavor did not only focus on competing but also on creating an inspiring and collegial atmosphere, with many occasions to get to know each other and exchange experiences. Several musical events accompanied the competition week: an opening concert dedicated to contemporary repertoire and a master class by David Tanenbaum, a lecture/encounter with Yair Klartag and an excursion to the Lucerne Festival, where Stephan Schmidt played the premiere of White Wind Waiting by composer Chaya Czernowin.